Hi and welcome! 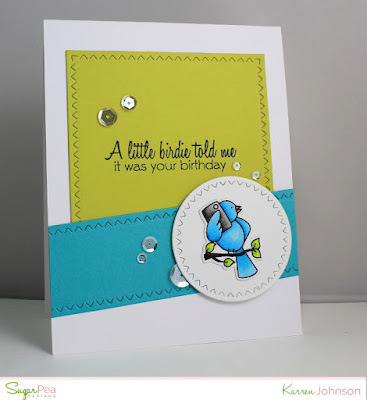 After a very busy weekend, I finally managed to get into my craft room to make a card that wasn't for upcoming DT work. I saw a video by Therese Calvird showing how she created a stamped, framed, card and I just had to give it a go myself. And I have to say, I love the results. I took a panel of white cardstock the same size as a card front and stamped and masked the roses from Vintage Flowers. Once I was finished, I die-cut the rectangle frame from the center of the card. 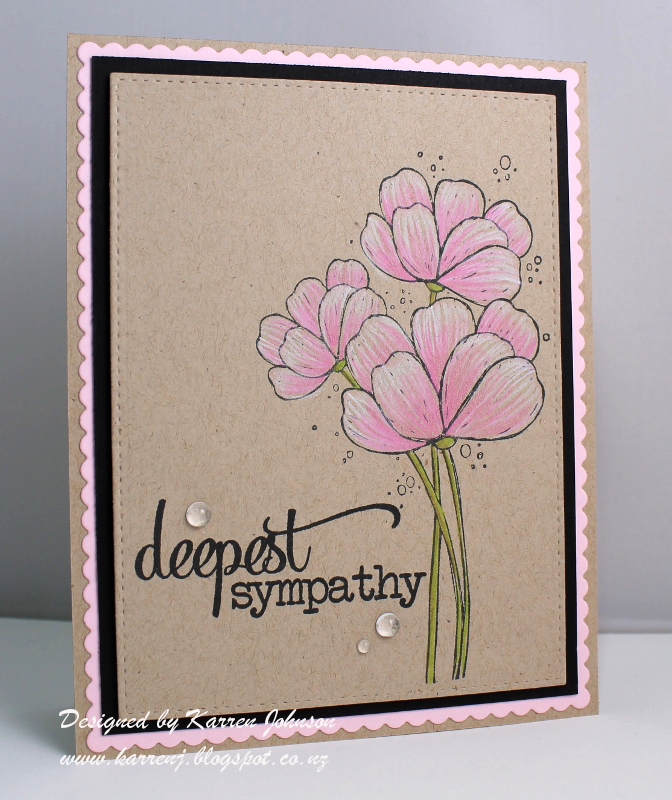 The sentiment was silver embossed onto the center panel. I then layered the three pieces onto a card base, adhering the center and outer panels directly to the card base and the frame using foam tape. Simple, but effective. Hi and welcome! It's time for another great sketch from Freshly Made Sketches and this week our hostess is Jen Mitchell, who makes the most gorgeous cards! 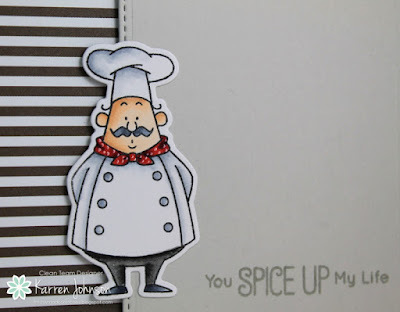 For my card, I had to use this adorable little chef! I've been coloring these chefs as part of The Daily Marker 30 Day Challenge and thought it was about time one made it onto a card! 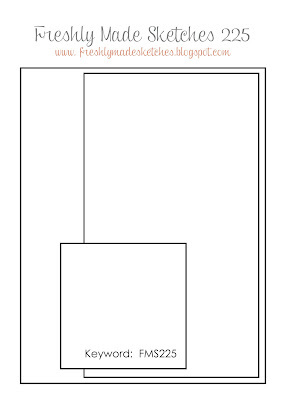 I went for a simple layout as the sketch is such a classic one - and I really liked the linear look. To give the chef a jaunty look, I put white polka dots on his red bandanna. The rest of the card is fairly self-explanatory, so I'll leave you with a close-up. Thanks for visiting. 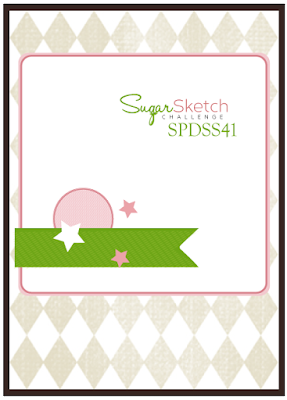 The rest of the design team have some wonderful cards using this sketch, so be sure to check them out. 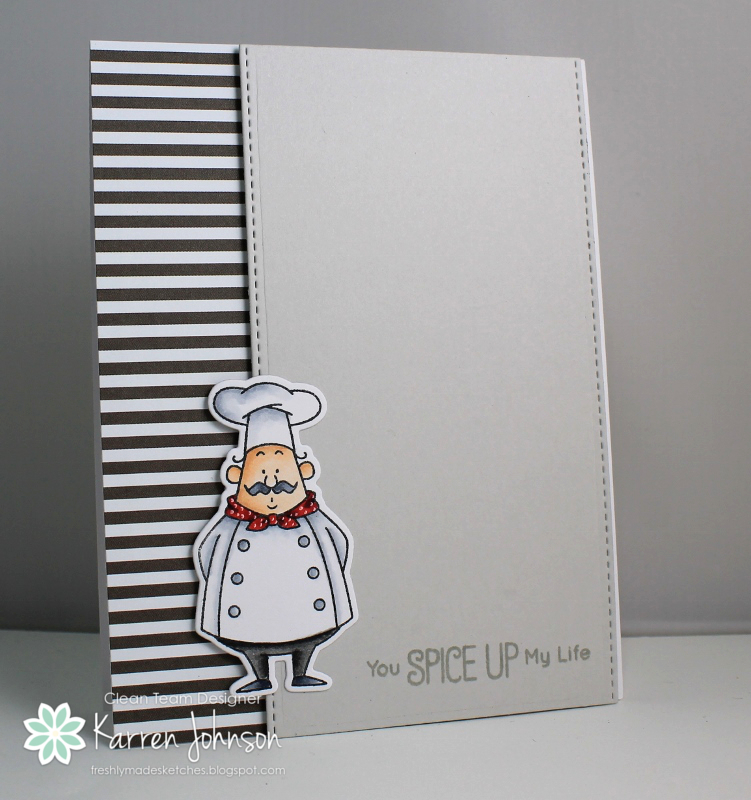 It's time for another fabulous sketch from SugarPea Designs and this week, we've got a fun one for you to try! 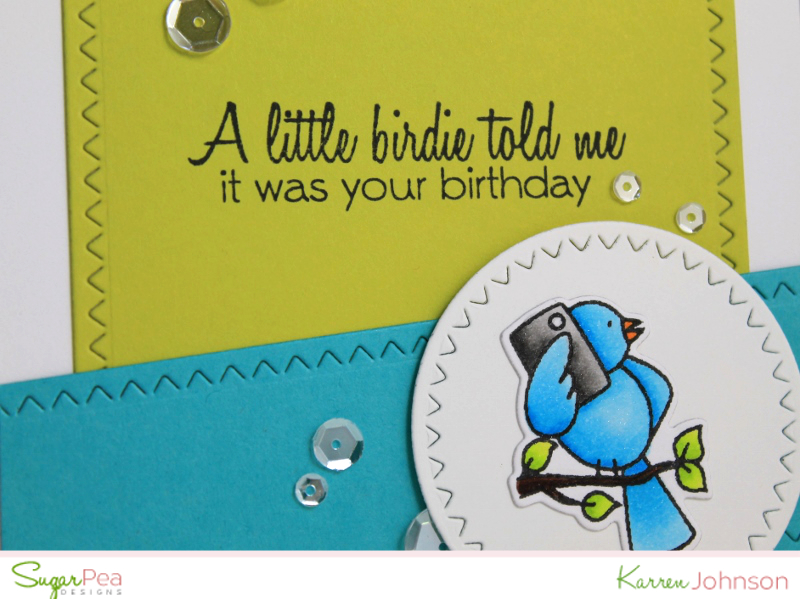 I stamped and colored the adorable little bird using Copics and cut him out with the matching dies. I then used the Zig Zag Stitched Circles and Rectangles dies for the various panels on the card. 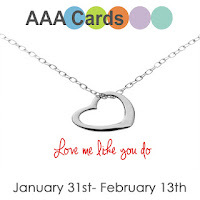 The sentiment comes from Feeling Sentimental which has fun sentiments matching the image set. 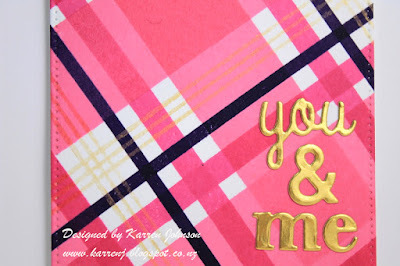 A few sequins and the card was finished! I'm linking this card to the Birds of a Feather challenge at Cardz for Guyz. Upload to your blog or other Online Gallery using Keyword: SPDSS42 so that we may check out your beautiful work. My card today was made using the sketch at MFT, the hat theme at Cardz for Galz, the critter theme at Tag You're It and the birthday/stencil theme at Friday Mashup. 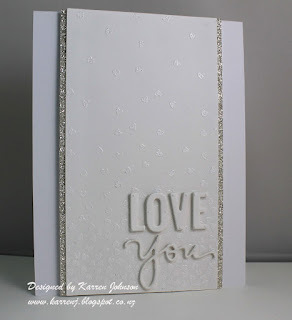 I started with a white card base and stamped the sentiment right at the bottom. I then took a piece of black and stenciled over it with the English Brick Wall stencil and white ink, fading out at the sides, top and bottom. 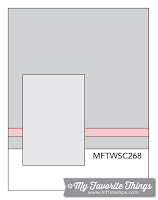 That panel was adhered to the card base using foam tape. I had the girl from Green Pastures colored as part of The Daily Marker 30 Day Challenge so I put her and the little pig onto a vellum tag. I colored some ground on the back side of the tag. Before I adhered the tag to the card, I stuck a thin strip of Limeade Ice cardstock to the black panel. 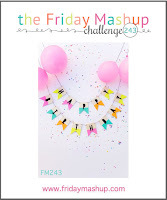 Edited to Add: This card got a shout out at Cardz for Galz, Friday Mashup and Tag You're It. 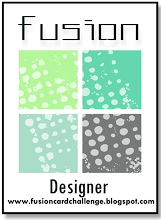 Hi and welcome to another Fusion Card Challenge! 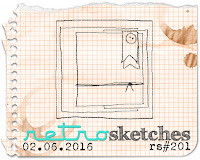 This week, we have a beautiful photo to inspire you and a fun angled sketch. And here is the card I made, inspired by the photo. 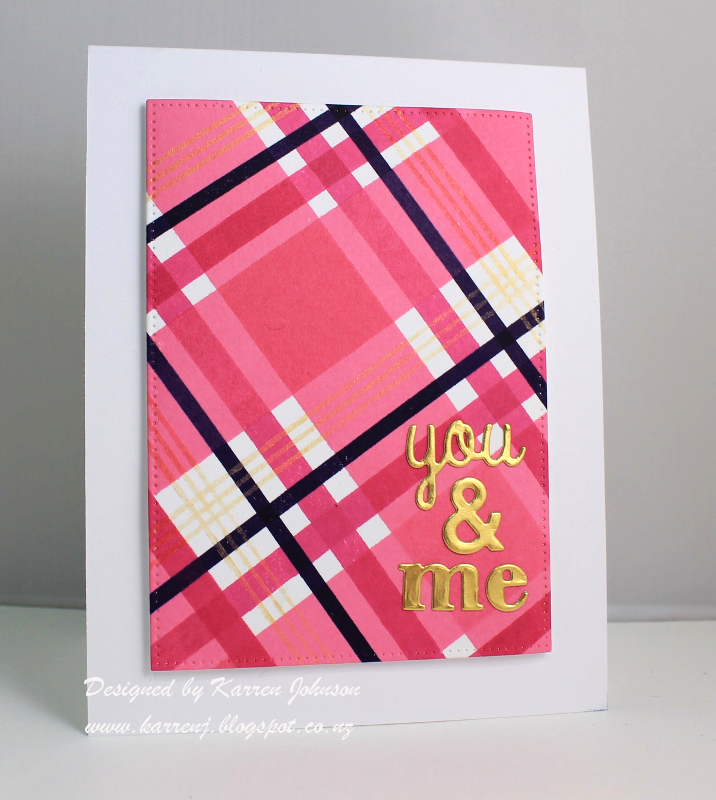 I went with the pink, navy and white color scheme to come up with a very simple card with a graphic look. 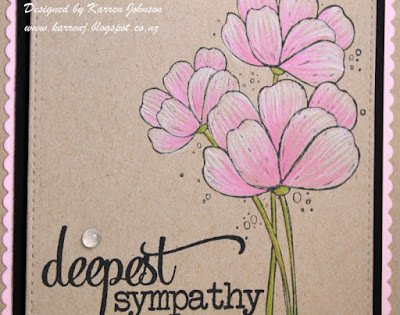 I smooshed some pink distress inks onto my craft mat before dropping in some watercolor paper. Once i was happy with the coverage, I die-cut the panel using my MFT Pierced Circle Frame dies. 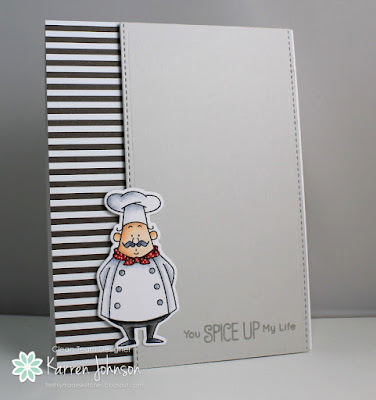 I interlaced the dies and positioned them omto a white card base. 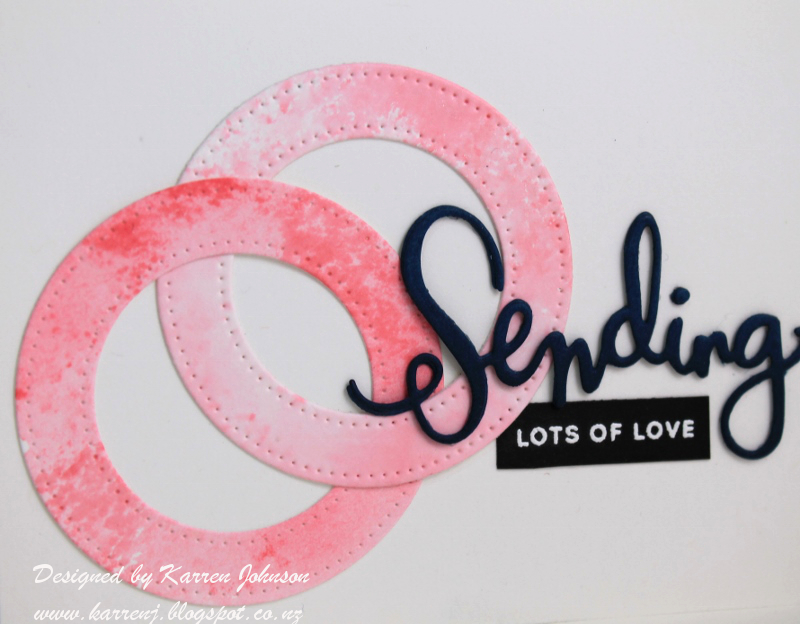 The "Sending" was die-cut from navy blue cardstock and stacked four layers high. 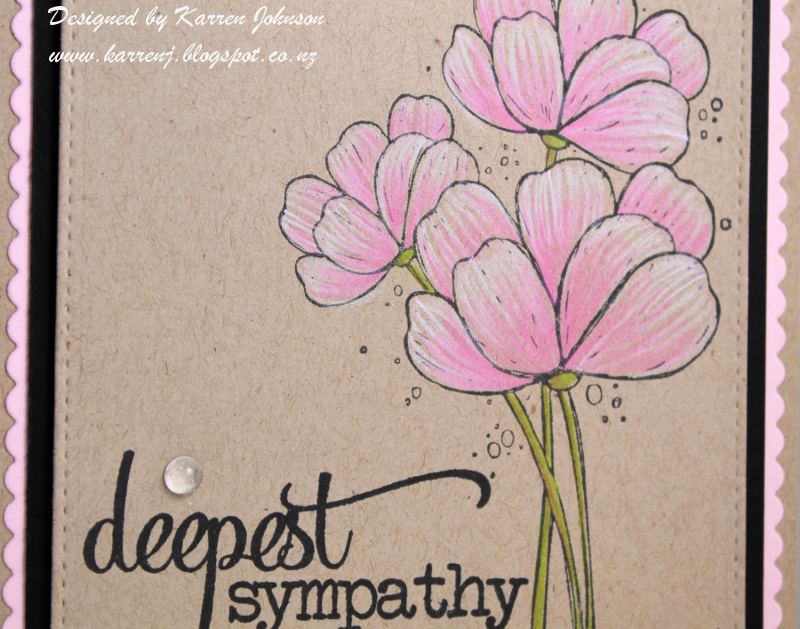 Lastly I white-embossed the rest of the sentiment onto a strip of black cardstock. Thanks for visiting. 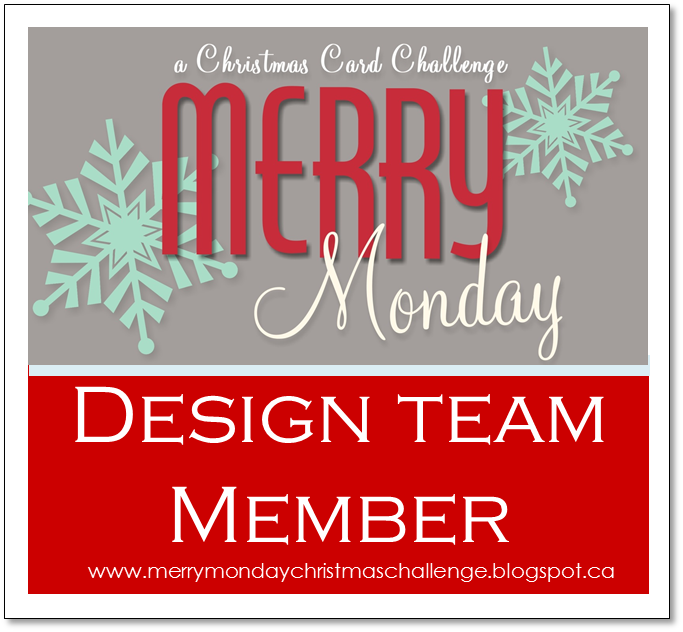 Be sure to check out the fabulous cards made by the rest of the design team. 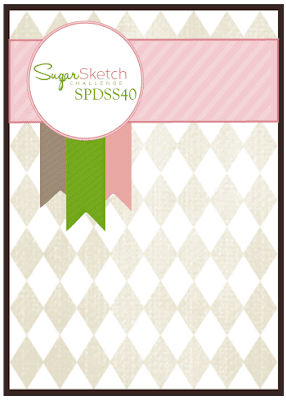 Hi and welcome to another fabulous sketch challenge at SugarPea Designs. 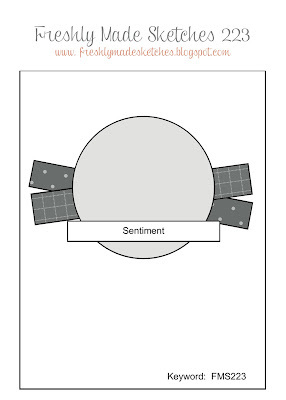 This week, our sketch has a lot of open space allowing you to give free rein to your creativity and imagination. 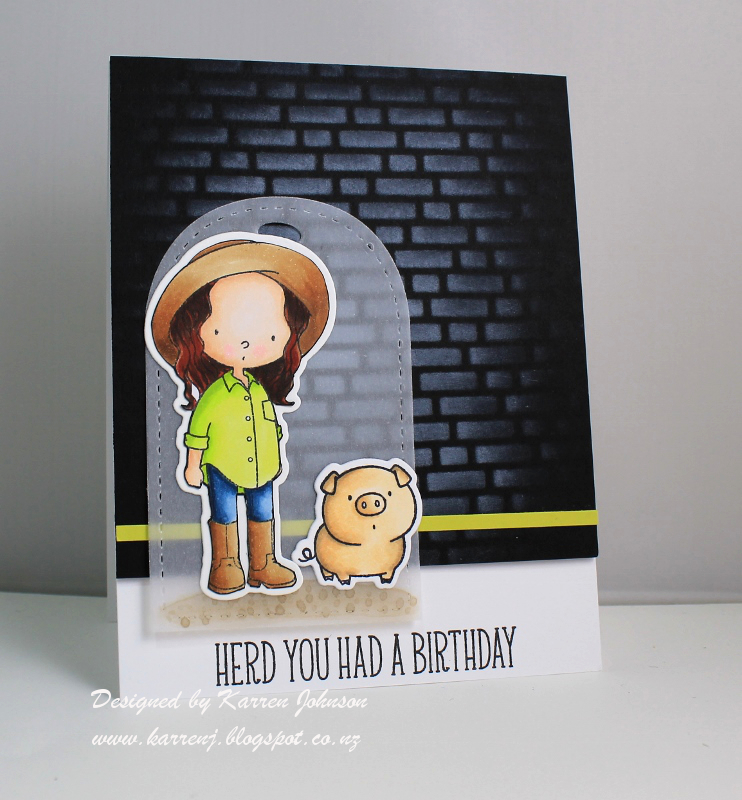 I decided to use the big open space for a fun background panel and came up with this card. I took a sheet of watercolor paper and started by covering it with Frayed Burlap Distress Paint, then Gathered Twigs Distress Stain - not covering the whole panel with either color. I flicked on some water and dried it with my heat tool. 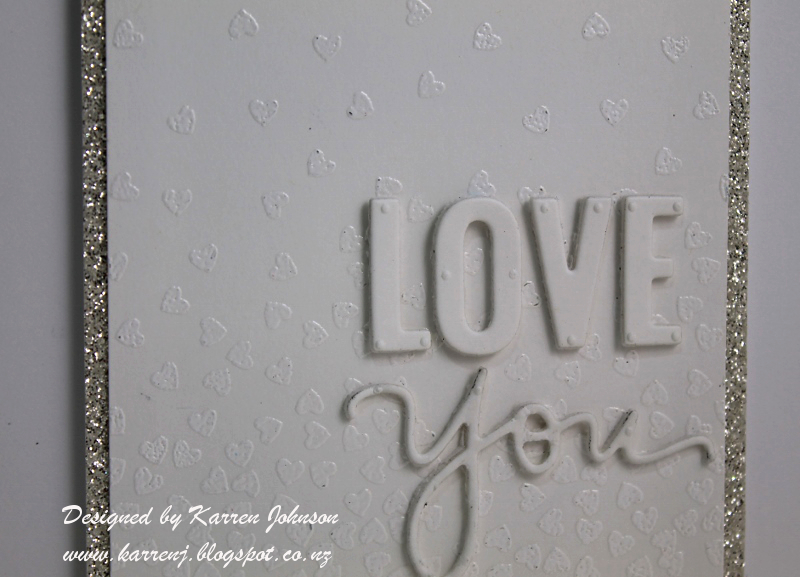 I then used some Picket Fence Distress Paint and the Cargo stencil to stencil some letters down the left hand side. 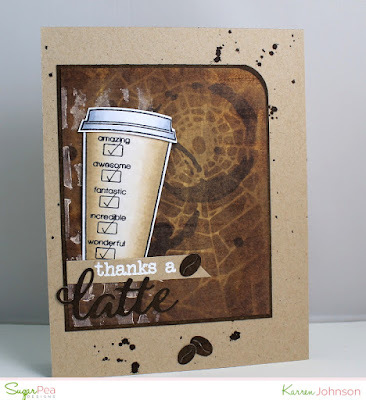 After that was dry, I took the Shatter stencil and some Frayed Burlap distress ink and lastly the Splatter stencil with some Ground Espresso distress ink. After cutting the panel to size, I rounded one corner and adhered it to another panel that I'd sponged Ground Espresso ink onto. The card base is Neenah Desert Storm and I flicked some Ground Espresso onto that with a paintbrush. The Copic-colored coffee cup comes from the fabulous new Caffeine Addict stamp set and Coffee to go Cup dies. 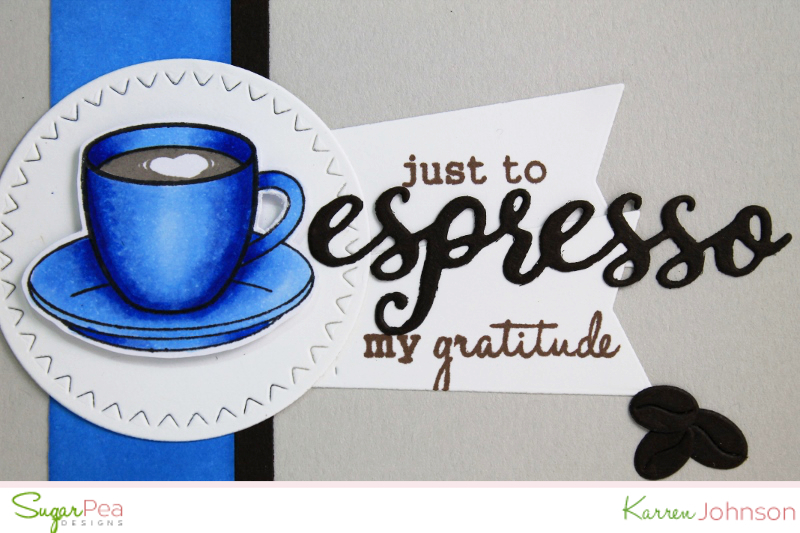 The sentiment comes from Espresso Yourself. 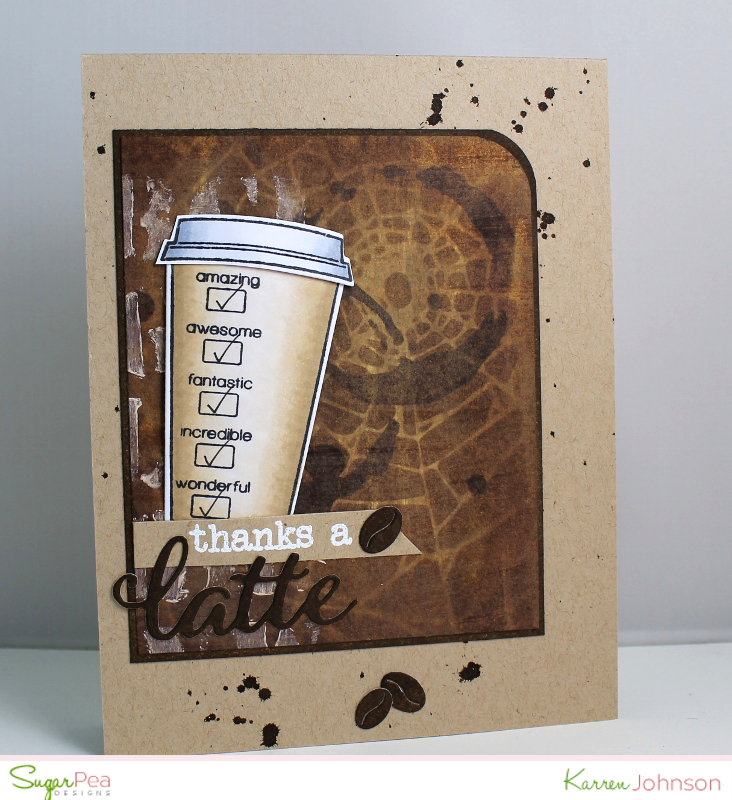 I used some sponged Ground Espresso cardstock for the die-cut "latte" as well as the coffee beans. 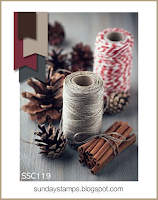 Upload to your blog or other Online Gallery using Keyword: SPDSS41 so that we may check out your beautiful work. 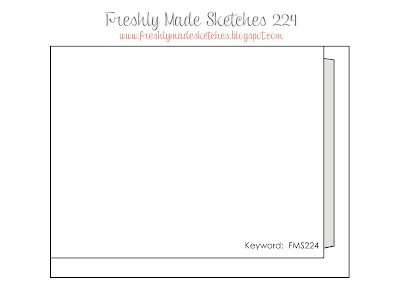 Hi and welcome to Freshly Made Sketches! 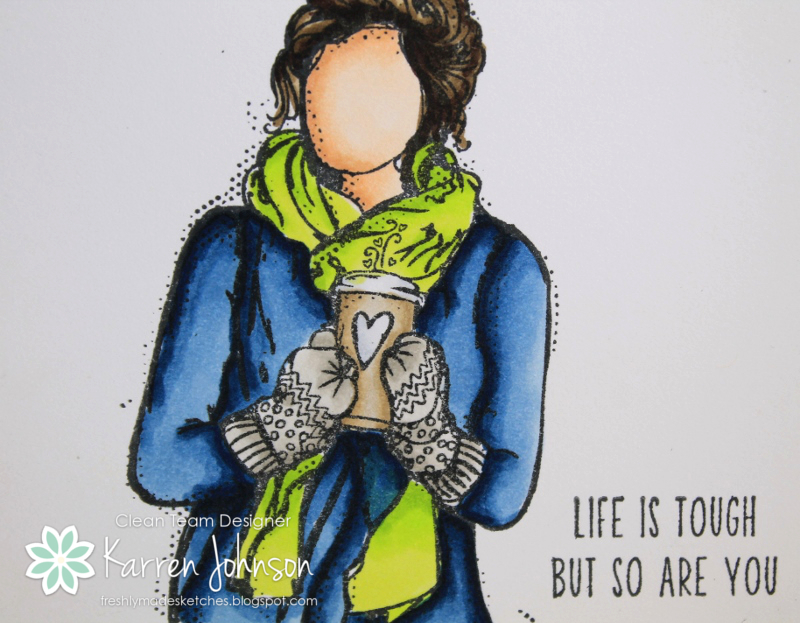 Our fabulous sketch today comes from our own super-talented Jennifer Timko. 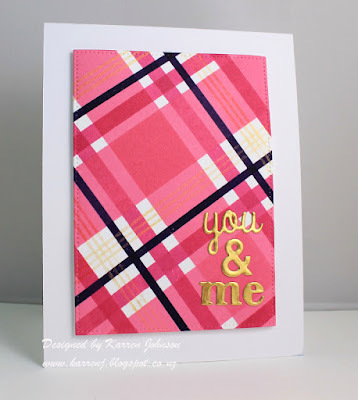 I used a NBUS stamp set called Hello Love by Unity Stamps. 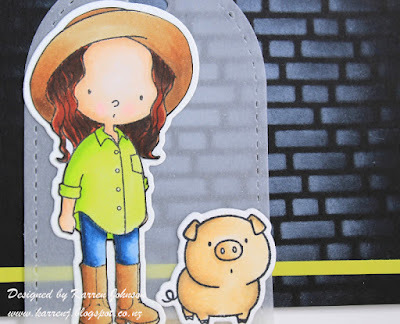 It was seeing the amazing cards made by my blogging friend Lee Ann Barrett with this company's stamps that made me place an order :) I stamped the woman and colored her with Copic markers. To make the image fit with the sketch, I cut my card base a bit smaller than normal, making it 4" x 5", A little strip of Limeade Ice cardstock was adhered to the image panel and both panels were popped up on foam tape onto the card base. 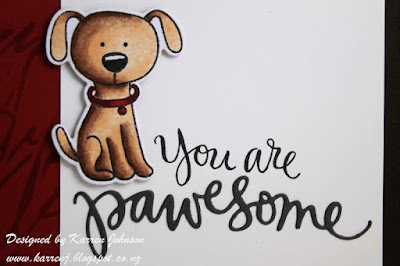 Because of the tone of the sentiment (which I love!) 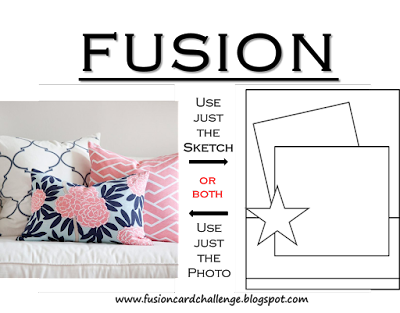 I deliberately didn't add any frou frou or embellishments. Thanks for visiting. 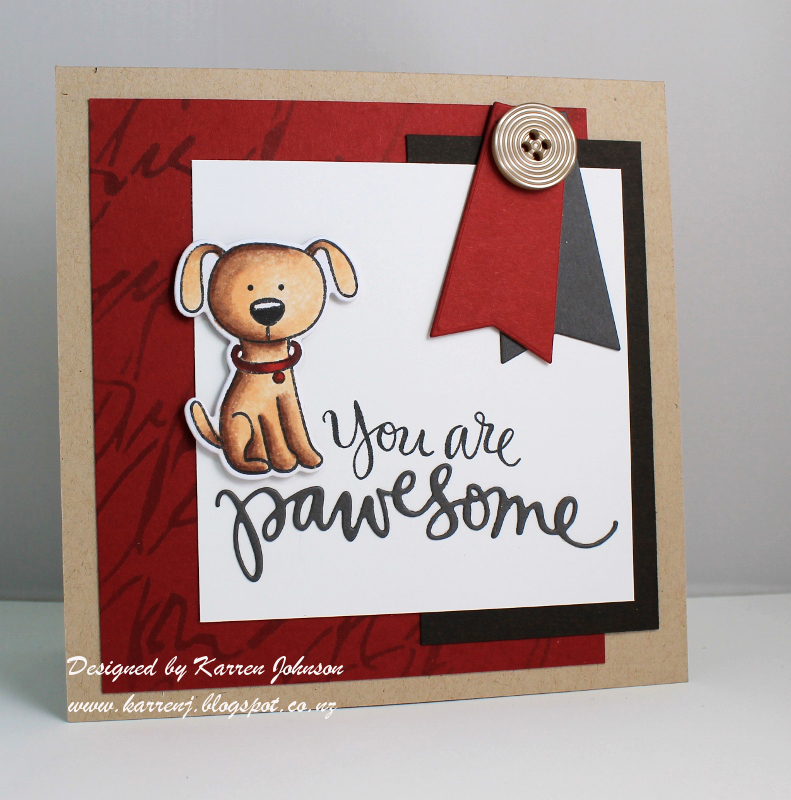 Be sure to check out the rest of the design team's creations - they are fabulous as usual! Hi! Today's card was made for the sketch challenge at CAS(E) This Sketch, uses the colors from Color Throwdown and the theme from Time Out Challenges - "Love is the flower you've got to let grow". 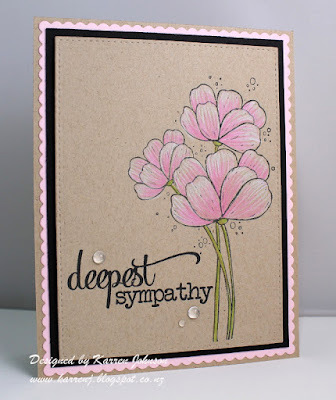 The sentiment was die-cut from some gold foil paper and the whole panel was backed with some craft foam. 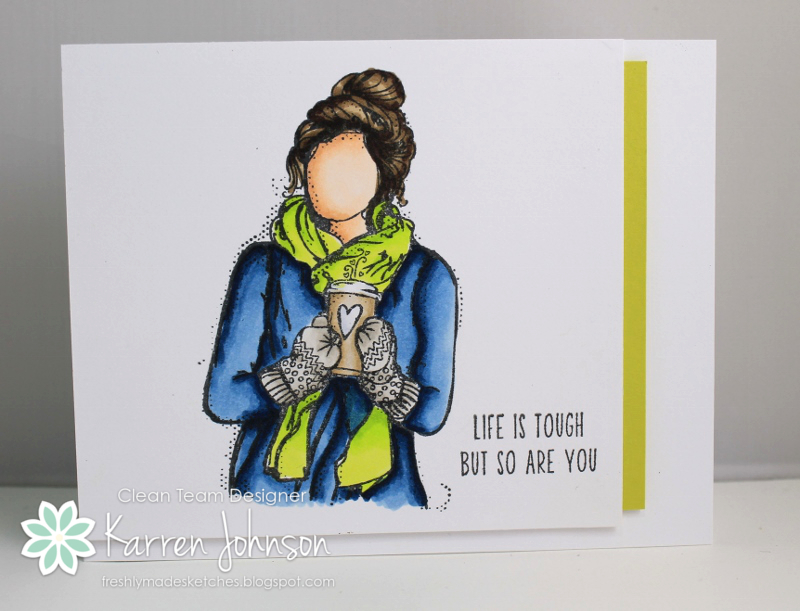 Edited to Add: This card was randomly picked as Featured Stamper at Color Throwdown and got a shout out at CAS(E) This Sketch. And it's Friday evening... :) I took some time this evening to do a bit of coloring and once I was finished, I decided to make it into a card. 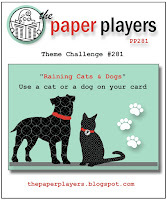 This card is for the cat/dog challenge at Paper Players, the sketch at Retro Sketches and the colors at Sunday Stamps. I stamped and colored the wee dog using Copics, then used an old towel and some colorless blender to give him some texture. 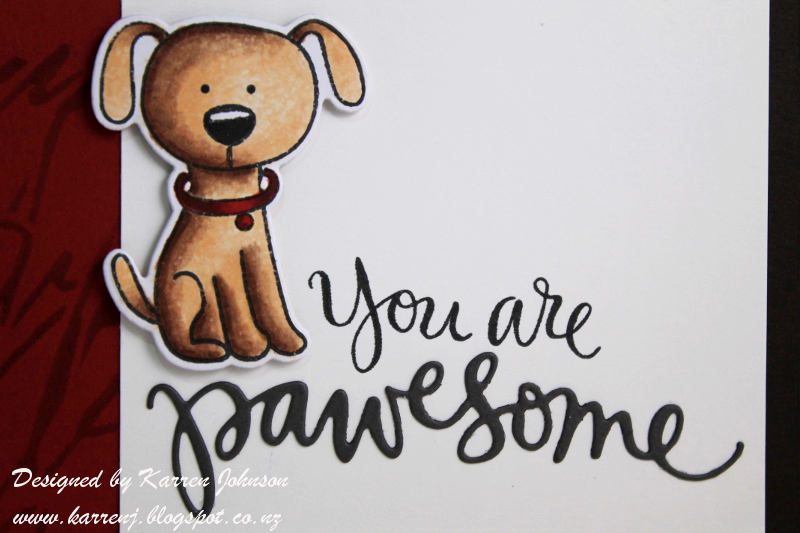 He was then mounted onto a white panel using foam tape, onto which I'd stamped part of the sentiment and die-cut the rest. 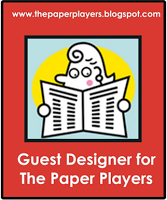 Edited to Add: This card got a shout out at Paper Players and Retro Sketches. Hi and apologies for the late post! 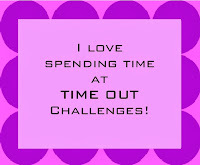 A long weekend just past has played havoc with my working week and I'm a day behind! 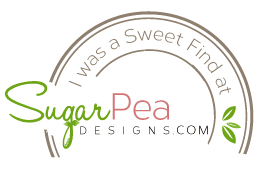 Here's the fabulous sketch this week for the SugarPea Designs Sketch Challenge. I colored the cup and saucer last week as part of Kathy Rac's Daily Marker 30 Day Challenge and I really like the blue color, so decided to stick with blue, brown and soft grey for my color scheme. To match the blue Copics I used, I pulled out some Blue Jay ink by SSS and smooshed it onto some white card to make the vertical panel. The cup and saucer were adhered onto a Zig Zag Stitched Circle die using foam tape. 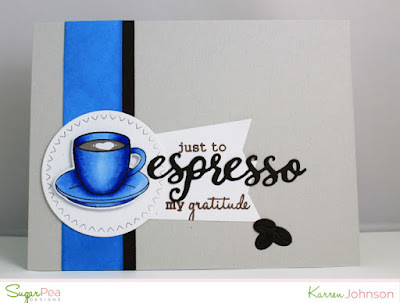 I also used the new Espresso Yourself set and Coffee Words dies for the sentiment, which I placed onto two flags cut from the Stitched Flags die set. 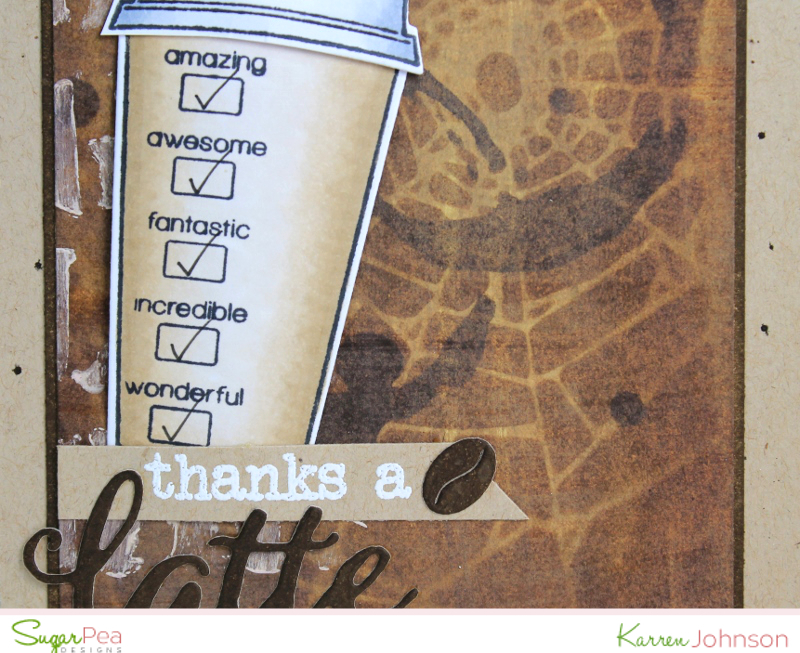 Some die-cut coffee beans finished the card. Thanks for visiting. 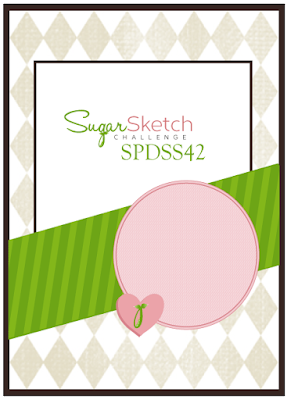 Be sure to check out the rest of the design team's fabulous creations with this fun sketch. Hi! This post is late but we've had a long weekend and I'm a day behind all week :) Our sketch artist at Freshly Made Sketches is the lovely and talented Amy O'Neill and she has a wonderful sketch for us. 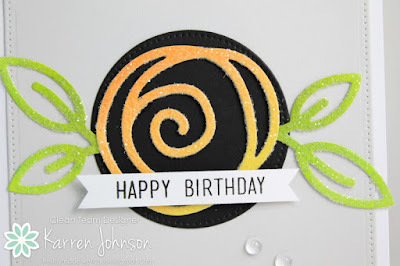 For my card, I decided to use a leaf die for the diagonal strips. 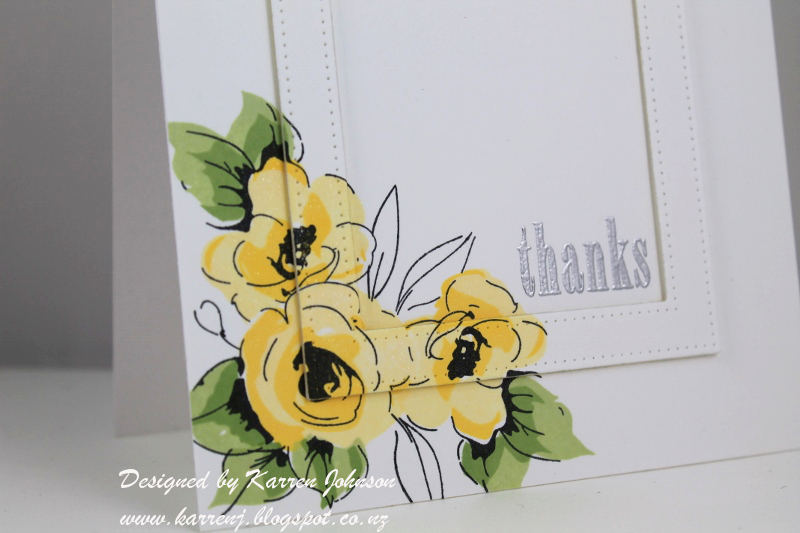 I pulled out the gorgeous Single Roses die and after blending various inks together, I die-cut both the flower and the leaves. I then covered the pieces with liquid adhesive and dipped them into Rock Candy Distress Glitter. They were mounted onto a black circle and then onto a Soft Stone layer and the white card base. The sentiment comes from Avery Elle's Party Animal set. 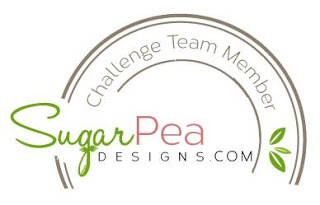 Be sure to check out the rest of the design team's gorgeous creations. Hi, again! 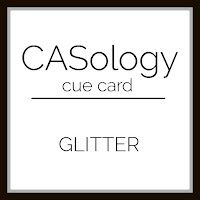 This is my third post today, but the linky at CASology is closing and I want to link my card to that challenge. 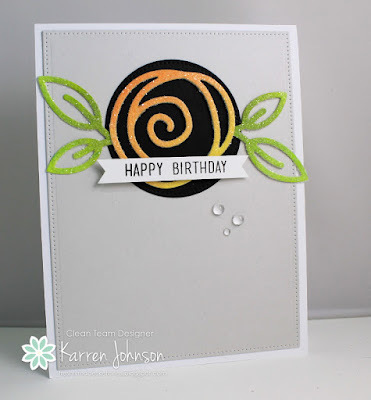 I just had to make a card for this week's challenge at Less Is More - white on white is such a hard challenge, but so beautiful! 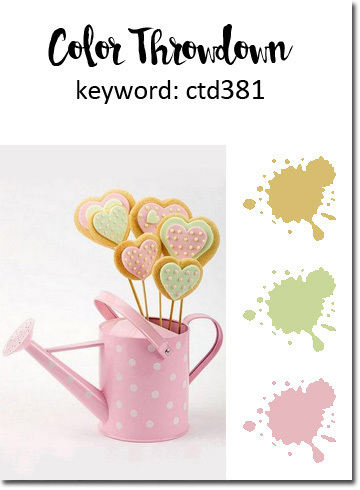 I went for a love card and am also linking it to the current Tic-Tac-Toe Challenge, CAS on Sunday and AAA Cards - the latter two both have love/Valentine themed challenges. For Tic-Tac-Toe I'm using the top row - Love, Shimmer and Hearts. 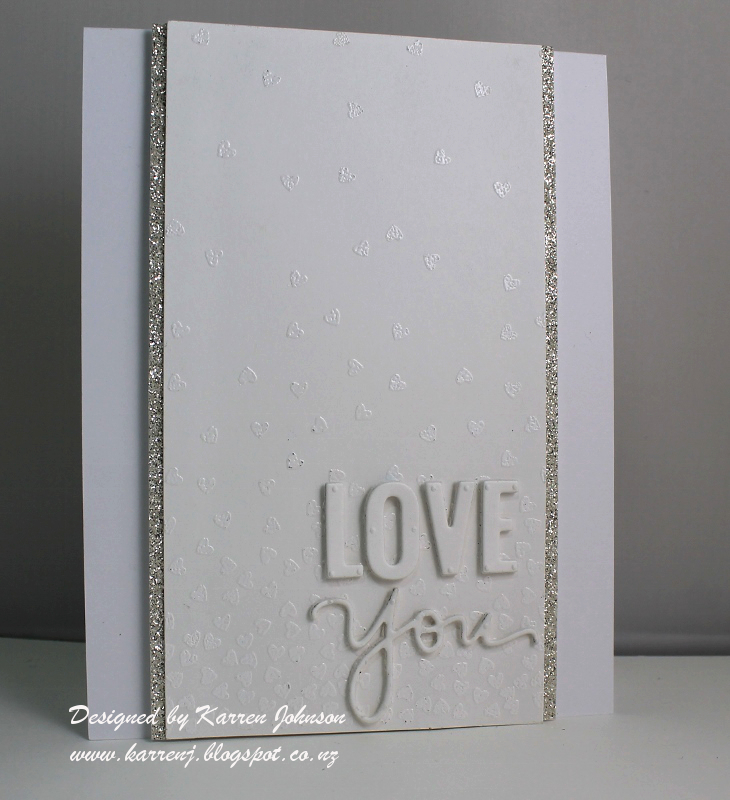 It's hard to see in the photo, but I've white embossed cascading hearts all down the front panel of this card. You can see them slightly better in the close-up photo below. I adhered two strips of silver glimmer paper down each side of the panel then used craft foam as a backing and mounted it onto a white card base. 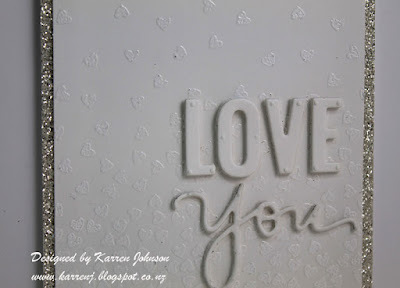 I also adhered some white cardstock to some craft foam before die-cutting the sentiment. Thanks for visiting. It's back to work for me tomorrow, but at least it's a short week! It's been so nice having a long weekend.